The benefits of choosing to vacation in one of the many Seychelles villas available for purchase in this archipelago, rather than spending time at impersonal resorts, are numerous. Having your own space makes all the difference in relishing the ideal overseas holiday. Seychelles, in particular, can offer you an ideal getaway, allowing holiday-makers to relax within the sequestered confines of tailored opulence. Isolated from the rest of the world, it’s possible to enjoy serenity and silence whilst experiencing a number of opportunities to connect with local culture or to socialise with the vibrant Seychellois population. The scenery in this country is nothing short of spectacular, giving you a window into the finest landscapes the Indian Ocean islands have to offer. From the city streets to cerulean waves and stretches of beach front. Those spending their time in a private villa can set the pace for their own holidays, without having to endure standard hotel commotion. With these conveniences in mind, it already seems clear that purchasing an opulent villa for oneself is the most luxurious and convenient way to get away. Let’s take a closer look into why. Miscellaneous services and additions – Being the owner of a villa affords you many options for relaxation. Due to the exclusive nature of most properties like this, recreation is often enjoyed in the form of spending time at a personal swimming pool in an expansive garden. Many of these estates also offer several luxurious amenities, such as tennis courts and even exclusive boutiques. An example of such a development is the prestigious Eden Island just off the coast of Mahé. Space and privacy – This is key. The enjoyment of personal swimming pools, roomy living quarters and no undesired interruptions are all possible when you own your premises. Not everybody enjoys having to greet neighbours while tanning or relaxing with the family. Staying in a hotel often means that you’re directly next to another occupant. Subsequently, you are privy to what’s going on in their room – unless they’re built very specifically not to. Customisation – When one stays in high-traffic accommodation, there tends to be a standard décor format. This is true for even the most affluent hotels and establishments. While they can be very comfortable, they often lack the customisations and touches that allow you to vacation in a personalised environment. In an exclusive villa, you’ll have the option to enjoy a space that is created by your choice of colour and texture palettes. In many instances, it’s convenient to own investment property for yourself that will allow you the absolute indulgence and refinement that suit any affluent vacationer. 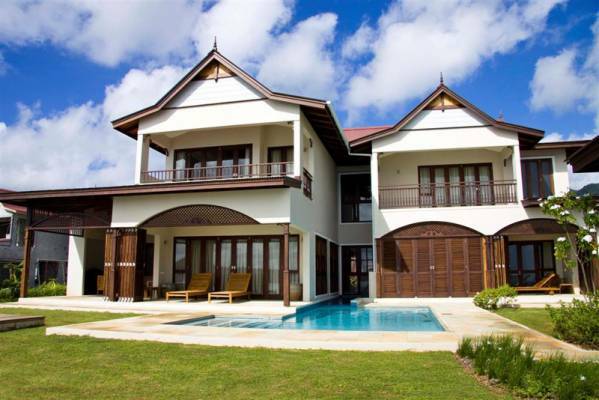 Purchase Seychelles villas and to live or vacation in the lap of absolute luxury!